In a statement, the Chamber said prices of fuel products within the country had seen some cumulative 14 – 17% increases over the past three pricing windows. It said the cedi, which has been the main challenge over the past three windows, seems to have made some gains to stabilise over the past two weeks to currently close trading at an exchange of 4.2798: $1 while world market indices have seen some drops by over $2/barrel to currently trade at around $53/barrel from the previous levels of around $56/barrel. The Chamber further noted that levels of taxes, which have been “one major concern for most Ghanaian petroleum users continue to remain at the same levels though some aspects of the levies continue to rise anytime ex-refinery prices go up”. 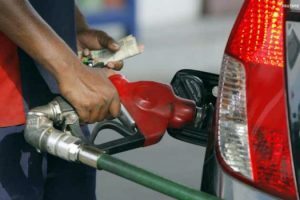 “From the above, it is our expectation and that of Ghanaians that the coming window will see the various bulk distribution companies (BDCs) and Oil Marketing Companies ( OMCS) reduce fuel prices by between 1-4% to ease the current pressures on the pockets of Ghanaian petroleum consumers,” it said. The group said it expected fairness in the current price deregulation regime which dictates that prices should reflect current trends.